Home » Hybrid » BMW i9 planned for 2016? BMW i9 planned for 2016? 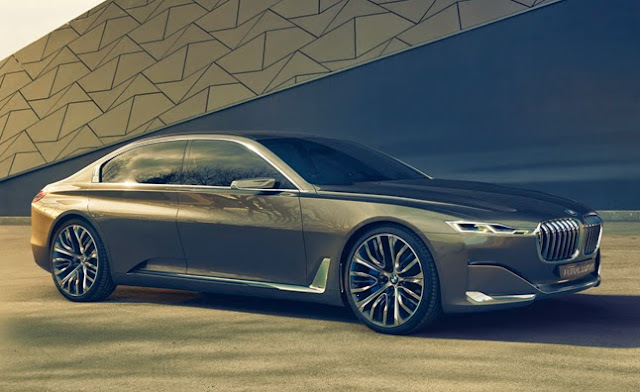 Auto Motor und Sport are reporting on BMW’s plans to build an i9 model. Built atop the already sold out i8, the BMW i9 is rumoured to be a four-door sportscar. Little else is known about the i9 but it would presumably feature carbon fiber construction and perhaps the i8's plug-in hybrid powertrain that consists of a 1.5-liter Turbo three-cylinder engine, an electric motor and a lithium-ion battery which as a combined maximum output of 362 PS (266 kW) and 420 lb-ft (570 Nm) of torque. BMW has trademarked an entire range of i vehicle, from i1 to i9, with at least one of them, the BMW i5, planned for production in the near future.